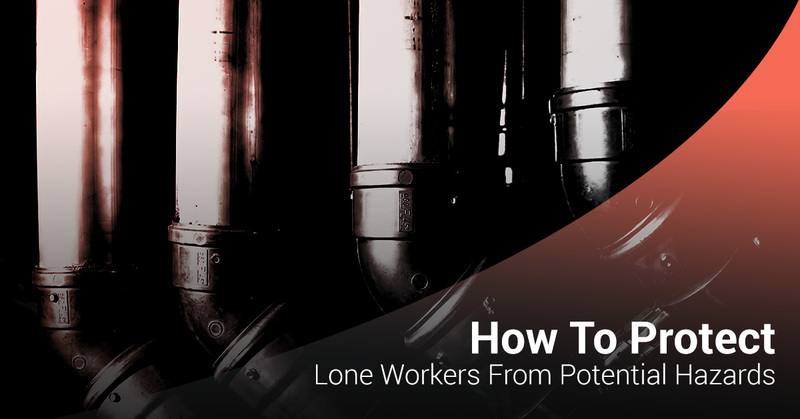 You simply can’t overstate the importance of lone worker safety. When working in remote, potentially hazardous environments, these dedicated employees need to be protected at all times from the dangers around them. That protection can also help the company deliver on its reputation as a trustworthy provider with minimal incidents, thus leading to better rapport with both employees, executives, clients, and contractors. According to the U.S. Bureau of Labor Statistics, injury fatalities in the private sector mining industry, including oil and gas extraction, rose to 112 in the year 2011 alone — up 68 from 2009 and 107 in 2010. That stat alone shows why it’s imperative to make lone worker safety an absolute priority. Not only will it help decrease injuries and possibly even fatalities, it will help improve peace of mind and morale amongst employees. When it comes to lone worker safety, there is no better device than the G7 portable wireless gas detectors. With two-way cellular communication, GPS tracking, real time toxic gas monitoring, live alerts and updates, and a 24-hour live support team on standby, the G7 delivers like nothing else on the market. These lone worker safety devices are easily transportable and feature constant communication with the lone worker and the live support team. In the event of a gas leak, fall, or no-motion incident, the G7 has the capability to immediately alert the support team and other team members within the vicinity in order to enable the proper emergency protocols. Contact Safety Scan USA to request a free demonstration of the G7 at your facility, and keep reading to learn how your company can work to improve lone worker safety at your facility. When it comes to lone worker safety, it is infinitely better to be proactive rather than reactive. Why wait for an incident to occur to put some careful measures in place to ensure the safety of your employees and the company as a whole. So when working in the oil and gas sector, take some time to identify potential risks around the work site. For example, do you know which potential harmful gases could be in the vicinity? If so, consider equipping your lone workers with a wireless, portable gas detection meter like the G7. These devices have the capability to identify up to four toxic gases at a time, allowing you (and your workers) to stay safe when in the presence of things like combustible gases, oxygen, carbon monoxide, and hydrogen sulfide. When working in potentially hazardous environments, it’s important to have emergency protocols in place in order to locate any potential injuries and evacuate the premises. With the G7, your lone workers gain access to a live support team which is on standby 24/7. Should a gas leak, fall, or other no-motion incident take place, the device will immediately alert the emergency response team and use the GPS beacon to pinpoint the fallen worker in a matter of seconds. That way, the worker can be found and extracted from the area in a matter of minutes, thus mitigating the risks of toxic gas exposure. Then, text message alerts will be sent to others in the area to alert them of the incident and to enable the evacuation protocol. Your company should have a lone worker safety policy that is always up to date and organized. That allows lone workers to understand the risks, while also protecting them in the event of emergency. Furthermore, the software on your lone worker safety devices should always be kept in order. With the G7, you can always experience peace of mind with automatic system updates, immediate calibration and bump testing, and reliable data tracking. Contact Safety Scan today to learn more about the lone worker safety provided by the G7.